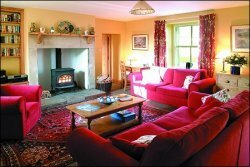 One of the original farm cottages, this is a single-storey property with its own private south-facing garden. Holidays are for doing just as you please. If you are feeling energetic, there's no better place to be than the Breamish Valley. Quiet roads and country lanes offer easy walking and cycling, and a multitude of signed paths and long-distance trails offer visitors a wide choice of routes through river valleys and over the hills to the Scottish border. Depending on your sporting interests, close to Branton you can find excellent trout and salmon fishing rivers, several pony trekking centres and numerous first-class golf courses. After an exhilarating day in the fresh air, you may choose to take it easy in our private garden area, prolong your stay outdoors with a barbecue, or play a friendly game or two on our all-weather tennis court, putting green or croquet lawn. 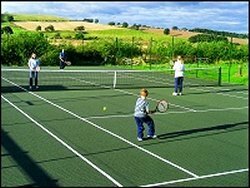 And for youngsters with energy still to burn, there's a children's adventure playground, a games field and a games room where they can play pool, table tennis and table football or sit and watch television with their new friends. Our first class leisure facilities are tailor-made to meet your every need. Enjoy a swim in our fully-heated 40 feet-long indoor swimming pool with its magnificent views of the nearby hills. 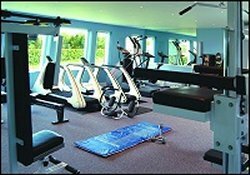 Tone up and exercise in our fully-equipped gym. Relax and indulge yourself in the hot tub, sauna or steam room, and, if you wish, top up your tan in the sunshower. All facilities can be used from early morning until late evening.